The Black Night Film Festival in Tallinn (also known as PÖFF), which began on November 12th, held its closing ceremony today during which it dished out its awards. 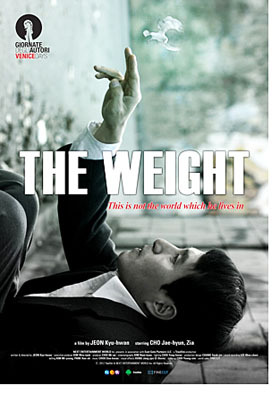 JEON Kyu-hwan picked up the Best Director prize for his film The Weight, which previously won the Queer Lion award at the Venice International Film Festival in September. The Grand Prix went to House With a Turret from the Ukraine while For Ellen by KIM So-yeong, who previously directed Treeless Mountain (2008), took home the top prize in the North American independent film competition.